Who needs the FL-140 Form? 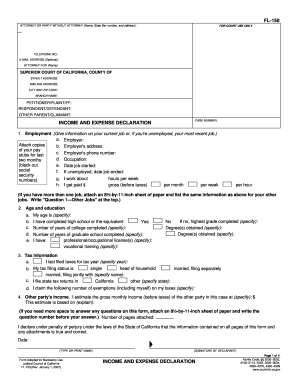 The FL-140 Form is the California Declaration of Disclosure. California law obliges both persons involved in marital or domestic partnership actions to file the Declaration of Disclosure FL-140. What is the FL-140 Form for? As the legal regulations prescribe, a spouse or a partner is supposed to disclose the nature and extent of all marital/partnership assets, liabilities and debts to the other party at the beginning of the marital dissolution, legal separation procedure so as to guarantee fair sharing of the common estate and reasonable child and spousal support compensations. When is the FL-140 Form due? This particular declaration of disclosure can be filed for two purposes: as Preliminary and as Final Declaration of Disclosure. 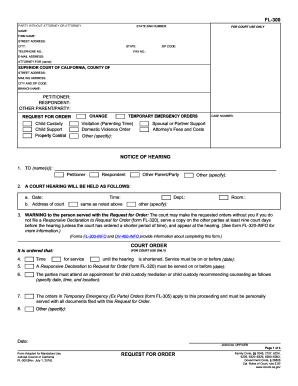 When being filled out as the Preliminary Disclosure Declaration, the form should be directed to the other party as soon as possible prior to the judgement being granted. Typically it is provided along with the Summons and Petition for Divorce. The parties must exchange their Final Declarations of Disclosure with each other at least 45 days in advance before the first assigned trial date or before a judgment is expected without a trial. Should the FL-140 Form be accompanied by any other documents? There is also the continuation if the required attachments indicated on the FL-140 Form itself. 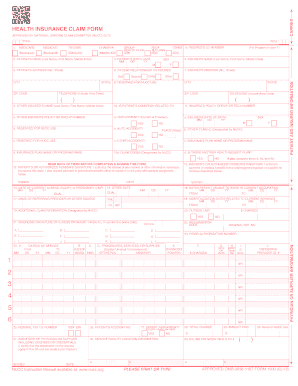 How do I complete the FL-140 Form? The checklist of the attachments.